Sometimes, life is just weird. One has to keep that in mind while watching NBC's new show 'Awake'. The story revolves around a family of three and what happens after a tragic car crash. The main character of the show is the father, Michael Britten, played by Jason Isaacs (He played Lucius Malfoy), and the story starts off suddenly with Britten crashing the car while his wife Hannah (Laura Allen) and 15-year-old son Rex (Dylan Minnete) are in the car. Things then get terribly confusing and very, very intriguing. After the crash Britten discovers that he has no memory of the crash. However, every time he goes to sleep and wakes up, he seems to be alternating between two realities. In one, his son is dead and his mourning wife is alive and yearning to move on. In the other reality, his wife dies and his son is alive. In order to keep track of his life he wears different coloured bands for different realities. Every time he wakes up and his wife's alive, he wears a red band, and every time he wakes up and his son's alive, he wears a green one; each being their favourite respective colours. What's more interesting (which by now is just a synonym for 'confusing') is that each reality has changes in Britten's way of life, not just in his house but everywhere around. He has the same job as a detective but he has different partners and different cases. It gets weirder when he realises that a case in one reality has a similarity to the case in the other reality. In each reality Britten is seen to have different psychiatrist, with both of them telling him the same thing about his mind. The climax of the pilot is when he is told that one of the two between the wife and the son is definitely dead and he has to try and let go of that person so that his subconscious can return to normal. The only bad part about the TV show is that it's evident that with such a complex storyline, the show can't go on for more than two or three seasons and the audience for the show will be minimal, which is a shame because it looks to be a great start to a great show. There is an old saying that a weapon is only as good as its wielder but in real life you fight with whatever you can get your hands on. Or so we have read. However, in video games, signature weapons are as admired as the characters they are used by. Here are some of the most popular ones. Sony's God of War series became famed for its merciless and brutal gameplay and it was thanks to this legendary weapon. 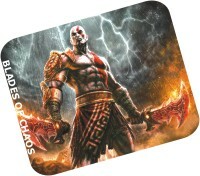 Kratos was gifted with this weapon by Ares [God of War] and its chains were sealed in his arms for better usage. The blades can be used effectively for both close and long ranged combat, wreaking havoc on demons, mortals and Gods (especially Gods). Although this weapon appeared with different names in each instalment, the basic concept was the same and once upgraded to its maximum potential, all other weaponry are just a burden. Agent 47 with twin Silverballers became one of Square Enix's most celebrated creations and the guns are one of the most stylish death dealers one can find. These highly upgradeable armaments can be converted to silenced machine guns with extra large cartridges capable of firing advanced long ranged and high precision bullets dealing more damage to opponents (let' see those suited agents run in fear). No wonder baldy is called the Silent Assassin. Considering the medieval time period, the hidden blade was a pretty good weapon for the Assassins in Assassins Creed. Although initially used by Al-Tair, this genius weapon was remodelled and used later on by the whole Creed centuries later. This stealth based weapon is perfect for quick assassination and discrete getaways and can be used viciously against multiple enemies when cornered in narrow spaces. With two of them in both hands, swords become old school. You are chased by millions of demons from Phoebus and they have you cornered. No problem, just turn around, fire the BFG 9000 and see how the green plasma ray turns those enemies into bloody pulp and gives you the pleasure of walking on a red carpet of demon blood. The BFG (short form of “Big Freakin Gun” but the F word is mostly used) is the best gun in the first generation FPS game Doom and it became so popular that it was even used by The Rock in the Doom movie. Some people may not remember this overwhelming weapon so our suggestion is hit YouTube and experience the awesomeness of this gun. These two are Dante's personally customised pair of semi-automatic handguns and are the only weapons which appear in every instalment of Devil May Cry series. Although Dante uses most of his time slicing and mincing demons with that ridiculously big broadsword of his, these two hand cannons here are better, having been imbued with demonic powers and customised for rapid firing and long distance precision. Once combined with the gunslinger ability of in DMC 3, these guns can be used for some astounding combos. The combat cross, also known as the “Vampire Killer” is a staple weapon of the long running game Castlevania but it was used most effectively in the game Lords of Shadows. This multipurpose weapon is equipped with an Iron whip, spiked chains and a stake. Hunting down vampires and werewolves with this weapon gives gamers the most gratifying experience. Every gamer has their own choice of favourite weapon and we could rant about these trademark weapons all day and the ones we mentioned are only the tip of the iceberg but word limit takes away that pleasure. So, that's a wrap. No matter what the world thinks of magic, it is a dying art. The bizarre clothes, the plump rabbits peeking out of top hats, the pretty assistants smiling as they go under the blade to get themselves cut into half; all these are parts of an extinct world. Movies are often made about these fading cultures and they always turn out to be melancholic, and The Illusionist seems no different when you hear the plot for the first time. It is not the Edward Norton movie from 2006; it's the French adaptation of the comic master Jacques Tati's screenplay. 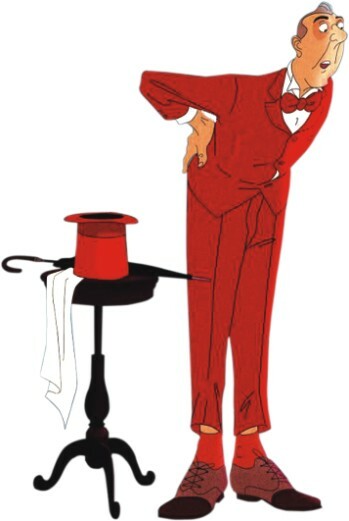 The Illusionist (French: L'Illusionniste) is set in 1959, where the protagonist, a middle-aged vagabond magician performs his somewhat outdated tricks to a set of reluctant audience. Between his searches for jobs from one theatre to another, he gets the call to perform in a small village out in Scotland, which he enthusiastically takes. During his stint in Scotland, he meets a young urchin girl, who is still naive enough to believe that magic is real. As the magician leaves for Edinburgh, the girl follows him and he takes the role of a stand-in parent. He lets her stay with him and buys her whatever small luxury he can afford with his unpredictable income. Somewhere along the line between paying bills and imploring for jobs, the magic runs out of him, but not for the girl, and then the illusion begins. The Illusionist is roughly like a silent movie; people don't really talk, there's music all the time and the characters speak in a jumble of languages that we can barely understand. The movie has brilliant graphics - every single scene is a piece of art, from the grey yet cheerful Scottish scenes to the whimsical hotel in Edinburgh - the world of The Illusionist is unlike anything we are used to seeing. The movie could've been depressing, but director Sylvain Chomet did his magic and it turned out to be an enchanting work, with great music and a bittersweet story. Air Gear probably uses the most tried and tested anime plot to spell out the story of Itsuki 'Ikki' Minami, a middle-schooler who's the toughest street punk this side of town. He lives with the Noyamano sisters, who took him in when he was a child. But what he doesn't know about his would-be sisters is that the girls are part of an infamous Air Trek crew, 'Sleeping Forest'. Though they hid it from Ikki for the better part of his life, soon they reveal their secret to help him regain his confidence and pride when he comes home after being humiliated by a group of Storm Riders street crews racing Air Treks. 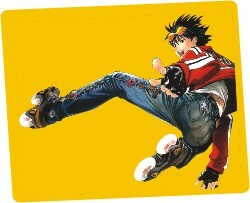 Once introduced to it, Ikki is quickly pulled into the world of Air Treks in other worlds, motorised rollerblading. Let's see. Young hero unusually prodigious at a new adventurous activity? Check. Using his learning experience to teach the audience about the outrageously unrealistic sport? Check. Yelling out names of specialised moves before performing them? Check. Rising quickly through the ranks of this new sport and becoming a force to be reckoned with? Check. Shady organisation aiming to use the sport for evil (or something along those lines)? Check. Swooning women? Check. Love interest? Check. Yeah. Generic storyline is generic. Air Gear isn't very different from any other extreme sports-based anime out there. Is there anything which makes it better? No. In fact, the whole thing gets pretty annoying sometimes. The characters are heavily stereotyped, and if you watch it properly, you'll soon be able to tell what dialogue is coming next. The artwork is the same old clear-cut colours for the backgrounds and characters are designed to fall in line with their respective personalities. Though admittedly, the soundtracks are very nicely done. The opening and ending themes fit into the world of street racing: they're catchy and gritty, and the music worked in during races and fights suit the contexts. Frankly speaking, if you're into well-worked storylines and investing in characters, this is not for you. On the other hand, if you enjoyed the Beyblade or Yu-Gi-Oh kind of action, you might want to take a swing at this. It's nowhere near as good (face it: Beyblade was okay before it went viral), but it is fun to watch. So what if it's unrealistic? The super-speed flame-building and failed time manipulation from Kazu's AT runs look totally awesome. Onigiri rides ATs upside-down, wearing them on his head. Of course, that makes no sense whatsoever, but to be fair, neither did Flash Kicker. Most importantly, the show kept the heroine from being extremely irritating. That is an accomplishment in and of itself. Overall, Air Gear is not good. In fact, it's borderline bad. But if you have nothing better to do than study, give it a shot. It's almost worth the time you'll spend.